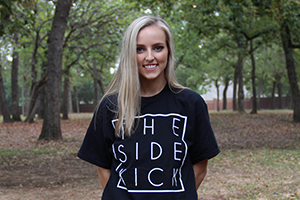 Sloane Samberson is a senior at Coppell High School and third year staff member of its student newspaper, the Sidekick. She serves as one third of the managing editors, the entertainment editor and social media manager. She will be attending The University of Missouri in the fall, continuing her pursuit of journalism. She enjoys attending concerts and collecting records in her free time. Contact her at: [email protected] or follow her on Twitter to keep up with her latest stories: @SloaneSamberson.